AUTHOR’S NOTE: Because I, David Chase Taylor, officially applied for political asylum in Switzerland on July 17, 2015, the state-sponsored terror plots and so-called “natural disasters” I expose rarely come to fruition. In short, the Swiss CIA does not want to afford me any more credibility or publicity than they have to, lest they turn me into a modern-day prophet. They also do not want to provide yet another open-and-shut case as to why I deserve political asylum. For those wondering why I would apply for political asylum in Switzerland, know this: a) I originally applied for asylum in Switzerland on March 8, 2011, roughly 2-years before I discovered that Switzerland was harboring the CIA; and b) the CIA has historically not shat were it eats in Switzerland. That being said, the CIA has now been exposed for the first time in history. Consequently, they are extremely desperate and may assassinate me Switzerland. Exactly what type of terror attack is planned for 2015 NFL season is not known, but a 9/11-style terror attack, race war attack targeting the NFL’s predominantly African-American players, and/or a WMD-related attack are the most likely terror scenarios. That being said, a future terror attack on the NFL may come courtesy of Malaysian Airlines Flight MH370 which was explicitly hijacked by CIA on March 8, 2014, in order to execute a surprise WMD attack on America. 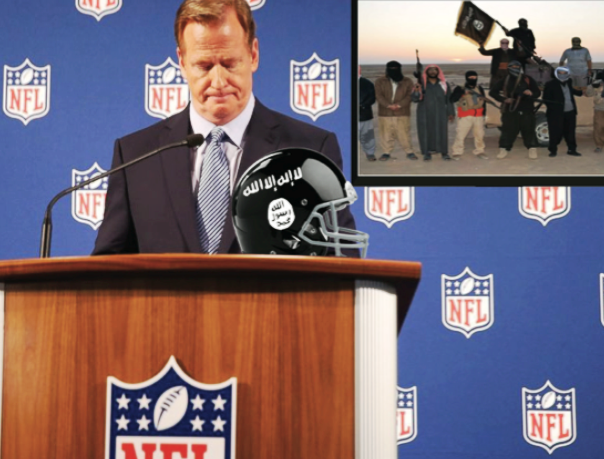 Consequently, a nuclear and/or bio-chemical 9/11-style attack may now be in order for the NFL.